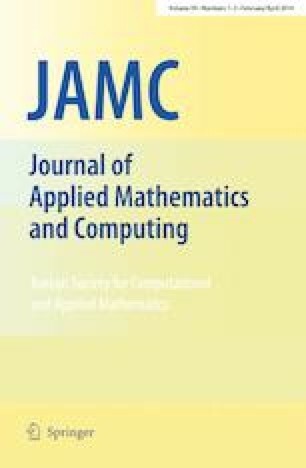 In this paper, we consider the existence of solutions for the fractional differential equations with multi-point and multi-strip boundary conditions. The existence results are obtained by applying Leray–Schauder’s alternative, while the uniqueness of solution is established via Banach’s contraction principle. We also consider the existence of positive solutions for the fractional differential equations with degenerated multi-strip integral boundary conditions. We come to the results by applying the Krasnoselskii’s fixed point theorem. Some examples are also presented to illustrate the main results. The work is supported by Chinese Universities Scientific Fund (Project No. 2017LX003). The authors would like to thank the anonymous referees very much for helpful comments and suggestions which lead to the improvement of presentation and quality of the work. All authors contributed equally to the manuscript, read and approved the final draft. Ahmad, B., Alsaedi, A., Garout, D.: Existence results for Liouville-Caputo type fractional differential equations with nonlocal multi-point and sub-strips boundary conditions. Comput. Math. Appl. (2016). https://doi.org/10.1016/j.camwa.2016.04.015.